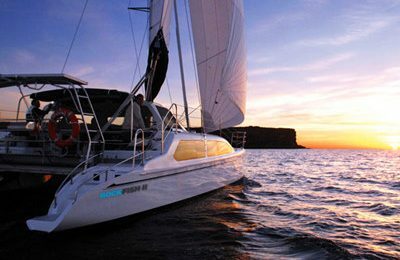 Welcome to ultimate catamaran yacht charter out of Sydney. Experience the city and harbor from it’s best vantage spot . Become part of the magnificent Sydney Harbour. 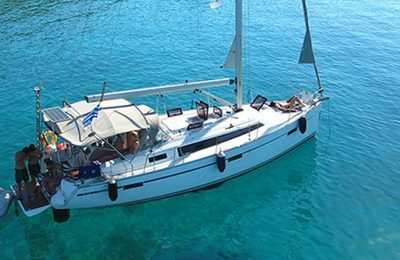 Hire and enjoy a custom built 50′ spacious catamaran yacht.The interior has been recently renovated to white leather upholstery, to comfortably hold up to 35 guests. Thanks for the twin hull structure, the yacht is able to offer a smooth yet steady experience while sailing across the harbor and sea. You will have a spacious partially open dinning area in the middle of cockpit, ideal for a cocktail party over the water, inside the main salon, there is a gourmet kitchen and another dining area. Relax on the huge trampoline at front deck, along with a cold beer, let sea breeze and fabulous view surround you. Over look the opera house from the sea,and, as the sun is about to set over the harbor bridge, enjoy the breath taking view along with a glass of champagne. A gorgeous afternoon out of Sydney harbor is right ahead. The vessel, with its state-of-the-art sound system, is operated by a permanent Master IV skipper, crew and hostess, delivering an exceptionally smooth, stylish and stable sailing experience. Base price includes yacht rentals, fuel, dock fee & crews. You can also bring your own food and drinks, there is $8 charge per head count for set up and cleaning. A customize built, 50 feet ( 15.5 meters)catamaran yacht, refitted in 2015. 2 bedrooms, 2 restrooms & showers,fully working kitchen,BBQ grill,water toys. 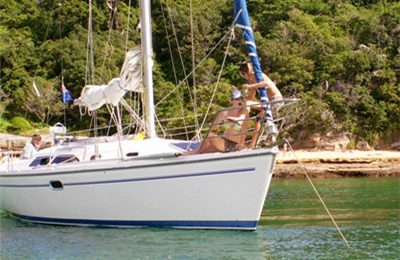 Handling this sailing catamaran is available upon request, captain will be happy to share sailing experience with you.